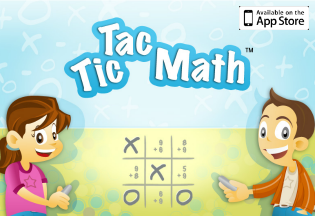 Math stories are such a fun way to engage kids in math learning, as well as help them see math in the world around them. 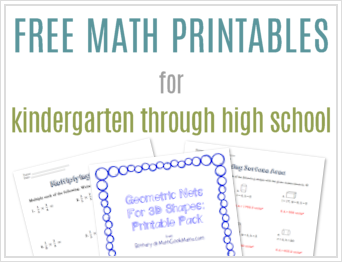 Stories can make math come alive and get kids excited! 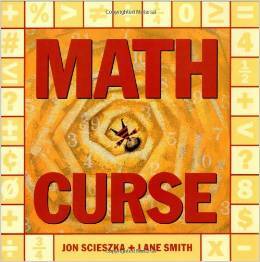 One of my favorite (and highly engaging) stories is Math Curse by Jon Sciezka. This hilarious tale can be enjoyed by kids of all ages. 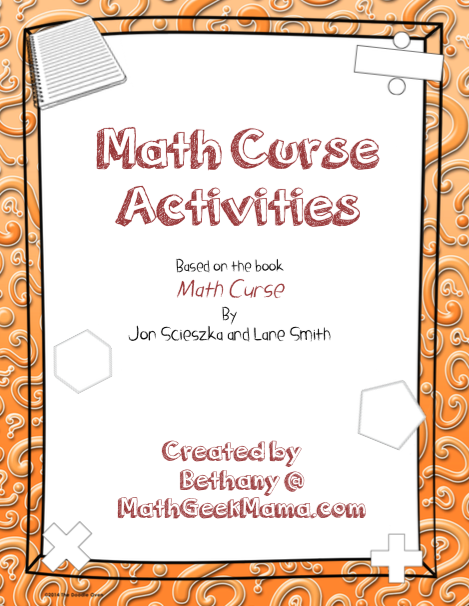 To help you incorporate this into your math curriculum, I’ve created this Math Curse Activity Pack! Math Curse is the story of one student who is under a math curse when his teacher says, “You know, you can think of almost everything as a math problem.” From then on, he sees math in everything he does! I wanted this to be used with as many kids as possible, so there are a couple different things included in this packet. For younger kids, there is a page with some of the math problems encountered in the story for students to solve (as well as an answer key). 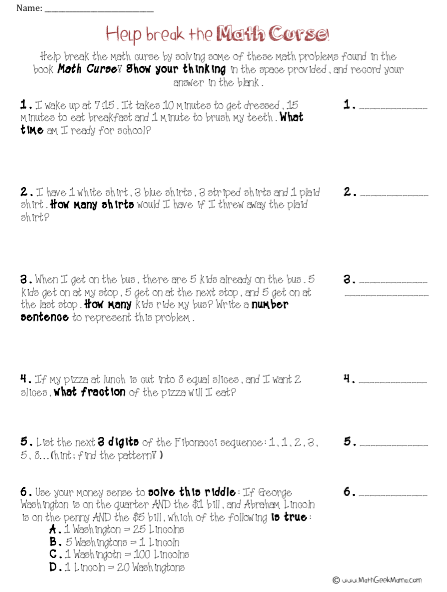 There is also a worksheet that walks students through writing their own story problem. If you have older students, you can take it a step further and help them write their own math curse story. 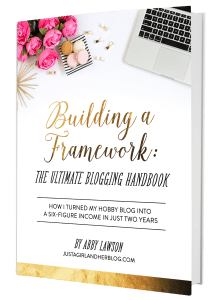 A student guide and rubric is included, as well as some teaching tips with ideas for how to use this project. 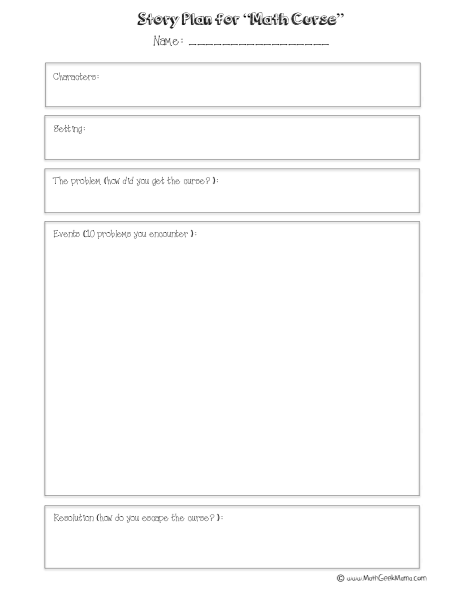 It also includes a story plan that students can use to jot down their ideas and come up with an outline for their story! Love this book! Thanks for sharing! Thank you for this. I already use this book with my kids so great to have other ways to use it. Thank you! I think this will be fun for the final weeks of school! I had to order the book but it looks worth the cost. 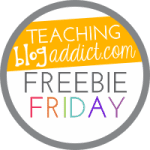 Thank you for integration of content ideas to help students own their learning!